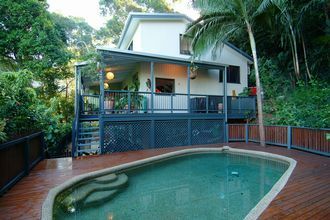 Cairns, Queensland: The house is situated 15 minutes north of Cairns in Smithfield Heights. We live in a low density zone and our land is 8000m2 of mainly un-touched rain forest, with sweeping views over Barron River Valley and the Pacific Ocean. It's a quiet area teeming with wildlife. A 7 minute drive will take you to either Hoilloway's, Yorkey's or Trinity Beach. 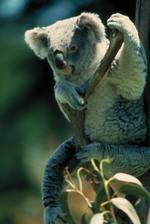 Cairns is the hub for the great Barrier Reef and one of Australia's major tourist destinations. See full exchange offer, HE18673. 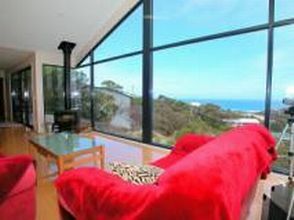 Great Ocean Road, Victoria: On the world famous Great Ocean Road, this modern holiday house is a great place to enjoy the sun, surf and panoramic views. 5 min walk to the beach and the hillside location offers superb ocean views. The house has generous front and rear decks and includes BBQ and outdoor furniture setting. See full exchange offer, HE16733. Perth, Western Australia: Beautiful 1930 renovated air conditioned house featuring polished floors and stained glass windows, in Perth's trendiest inner-city suburb. 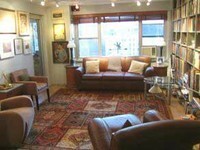 5 min walk to rail, bus, restaurants, pubs, shops, clubs, boutiques, cinema and theatre. 10 mins from Perth CBD, 10 minutes from river and 15 minutes from pristine white sand surf beaches and 20 minutes from domestic and International airports. See full exchange offer, HE18704. 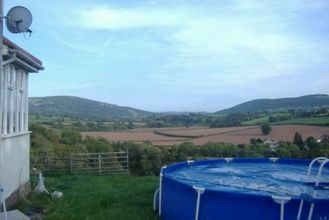 See the couple's company website, R04dh0g UK, and view their full home exchange offer in Herefordshire, HE18709. It was an excellent idea for Julie to address upfront the possibility that some people might shy away from considering an exchange with the family simply because of their occupation. It is striking from feedback received from many home exchangers over the years that a common trait most successful home swappers share is a tolerance of differences and, indeed, a desire to meet new people and experience lifestyles that can sometimes be quite different from their own. Putting aside unsubstantiated, pre-conceived ideas, whether about a country, people, homes or occupations, is crucial to make the most of the home exchange opportunities available. Una casa per scambiare in Italia per Natale in New York? ¿Navidad en Nueva York? Si usted tiene una casa para cambiar en Italia, una familia de Nueva York amaría hablar con usted. Apartamento lujoso de tres dormitorios en Manhattan. Disponible en diciembre, mayo, junio, septiembre u octubre. Noël à New York ? Si vous avez une maison pour échanger en Italie, une famille de New York aimerait parler avec vous. Un appartement luxueux de trois chambres à coucher à Manhattan disponible en décembre, mai, juin, septembre ou octobre. Natale in New York? Se lei ha una casa per scambiare in Italia, una famiglia di New York amerebbe parlare con lei. Disponibile in dicembre, maggio, giugno, settembre o ottobre. Christmas in New York? Whatever language you say it in, this is a very attractive home exchange offer from a young New York family who would love to swap homes with you - their luxurious three bedroom apartment in Manhattan for your home in Italy at Christmas. The New York apartment can be made available to you at the same time in December or, if later dates suit you better, in May, June, September or October 2007. Read the exchange offer in detail and see more photos. 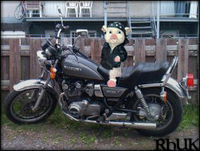 Home Base Holidays members: log on to view the listing in full, HE18495. As Christmas is a busy time of year for travel, and flights need to be booked well in advance, do get in touch right away if you have a suitable home in Italy and are interested in this home exchange offer in New York. Not yet a member of Home Base Holidays? Join now to send your exchange offer today. Once in awhile, we seem (at Home Base Holidays) to have a run on new and renewing home exchange members in one particular country or area. Being based in London, there are always great new home swap offers in the UK. But the country which probably (with the possible exception of New Zealand) produces the most home exchangers in proportion to its population size is Australia. I don't know the percentages of people in various countries who have passports but do remember being surprised a couple of years ago on reading how low the figure was for Americans with passports. The reason put for the low figure was the size of the USA, i.e. Americans can travel far, discovering new places without leaving their own country and so may have less incentive to travel abroad, or at least beyond North America. However, Australia is also a very big country and so there must be some other explanation. Possibly, exploring the world beyond their own borders is accepted more as the norm in Australia? Australians generally do seem to think nothing of travelling very long distances, from the young gap year travellers working their way around Europe to older people taking sabbaticals from work or retiring early with travel an important part of their leisure plans. 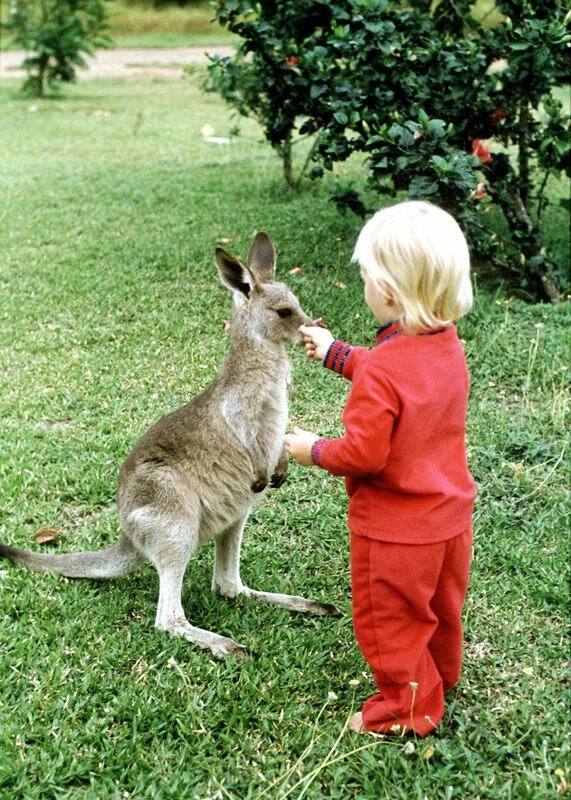 A large number of Australian Home Base Holidays members arrange exchanges to the UK, many visiting family or friends here. Fortunately, the traffic is two ways with lower air fares and holiday TV programmes enticing many British travellers to visit Australia. And, if you were to believe the many home re-location shows on TV, you would think that half the population of Britain wants to immigrate to Australia! It's easy to see the attraction - all those lovely beaches, wide open spaces, good climate, exciting cities and exotic animals. Some members also use a home swap as a way of being able to stay in an area for a lengthy period with no rental costs. This is a great way to really get the feel of a place before making a life-changing decision to move there permanently. Check out all current Australian home exchange offers (after choosing Australia, if you are interested in a particular state, choose it from the drop down state/county list before searching). Not only is Miriam Cassar the Home Base Holidays representative in Malta, and a long time home exchanger herself (see her exchange offer), she is now presenting a weekly series of travel programmes for a radio station in Malta, starting tomorrow afternoon. If you are in Malta, do tune in to Miriam's weekly radio programme or, you can listen live on web Stream. Good luck, Miriam! 'We live in Rockingham, 40 mins south of Perth. 20 mins south of the port of Fremantle. Rockingham is a beachside town, with leisure facilities for swimming, boating, fishing, sailing, surfing, diving, etc. 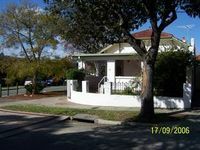 You can walk to the beach, swim with the dolphins, visit the fairy penguins and take a trip to Rottnest or Margaret River wine region, or picnic in Kings Park with a view of the Swan river. 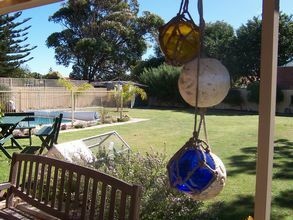 We are 40 mins from Perth Airport.